The Ek Hazaaron Mein Meri Behna Hai star, Krystle D’Souza, is the perfect bridesmaid that every bride wants. 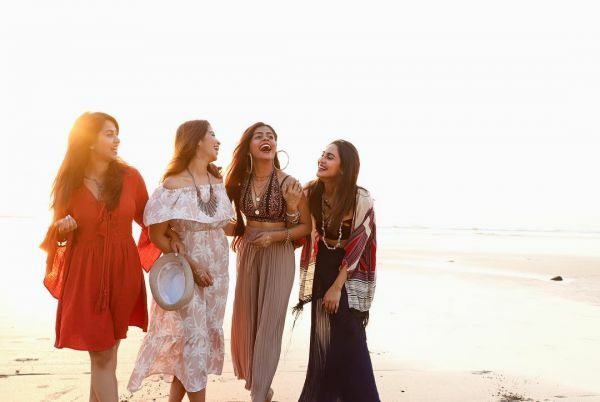 The actor, who is busy making her best friend’s bachelorette the cutest affair, shared some pictures on Instagram and we can’t help but swoon. 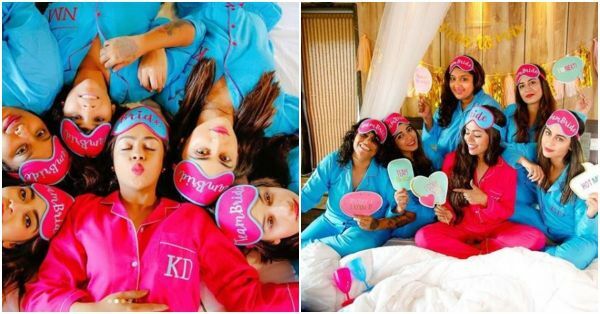 She captioned the picture as, “Bride and Team bride woke up like this 💖 Kavu’s #bachelorette begins in our @crazylazy.in personalised pyjamas. 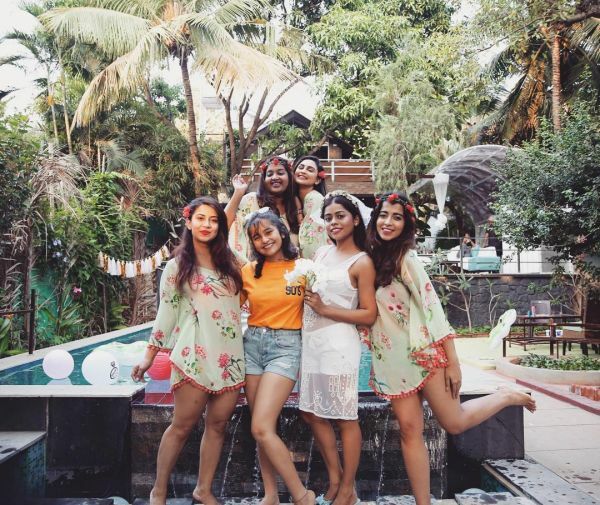 Dressed in the cutest blue pyjamas (customised by the Crazy Lazy), Krystle and her squad seem to be having a fun time pouting and posing. We love the bride's pink pyjama set with her initials embroidered on the top! The bachelorette wasn’t confined only to the bedroom. 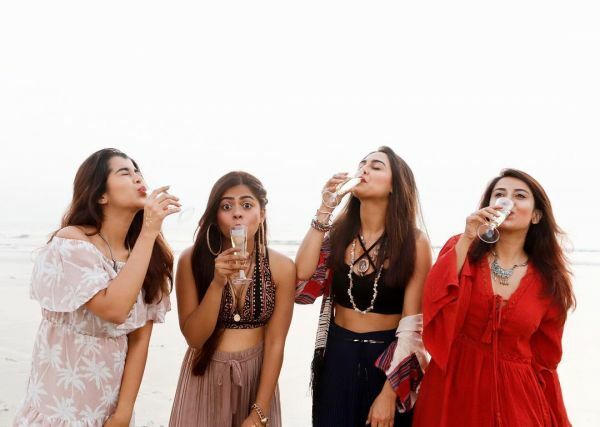 The girl gang also had a beautiful photoshoot by the beach where they can be seen raising a toast to the happy times. We know what a fashionista Krystle is and her latest pictures are just too cute to handle. 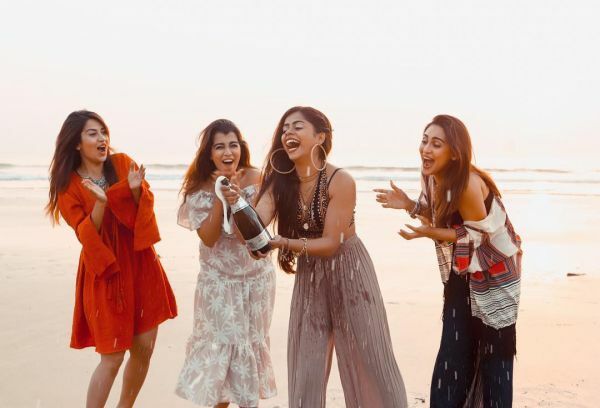 With the fashion game on point, and the cutest smile one can sport, Krystle and her friends are telling us how to do it in style at your BFF’s bachelorette. Well, isn’t this what bestfriends are for? To be by your side at all times. This is not the first time that Krystle has given us some serious BFF goals. She has been inspiring us to plan a vacation with our best friends with her cute travel pictures too. Krystle D'Souza made her television debut with Ek Hazaaron Mein Meri Behna Hai and was highly appreciated for her role. According to the rumour mill, she dated TV actor Karan Tacker (who starred opposite her in Ek Hazaaron Mein…) for a long time. Last year the two hit a rough patch and unfollowed each other on Instagram. However, on New Year’s Eve, the two were spotted celebrating in Goa and their fans are once again expecting the see the couple together.